Pro-Counselling's Stress Awareness training is a course taking place over 1 or 2 days, where you will learn how to identify, apprehend, understand and manage work-related stress from its early signs. The training is provided by a counsellor instructor who is also a Human Resources consultant. Who will benefit from the Stress Awareness Training? 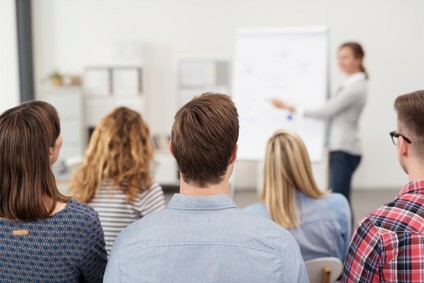 Line managers, managing directors, team leaders and anyone in your company responsible for the performance of other employees can significantly profit from the Stress Awareness Training. We believe that gaining awareness in work-related stress is key to line manage employees. In this training, managers will learn to spot the early signs of stress and the best way to handle these. When should you book the Stress Awareness Training? When one or more of your employees are assigned to a more managerial function. When a critical incident or a crisis occurs within your company, and that your managers may require support in addressing the crisis with the other employees. When some of your employees feel like they need to gain further awareness on stress. Each counsellor deployed on-site is also available on the online portal www.pro-counselling.co.uk. This way, the employees can follow up on any activities undertaken on-site over the phone with the same counsellors.